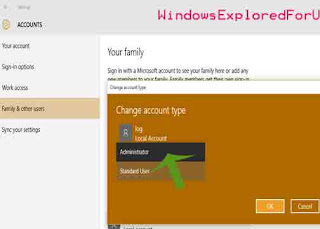 Benefits of Changing User account Type..
Change and run Any App that Ask for Admin Permissions. May not be Aware of those Changes Made in Computer. 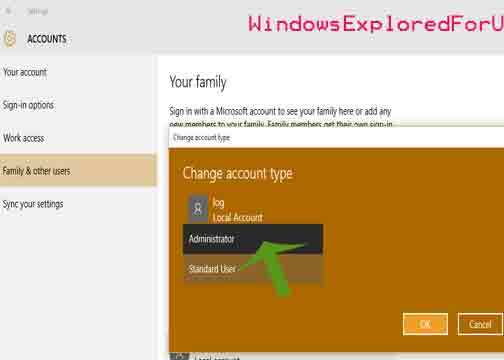 Step 1 : login As An Administrator in your Windows 10 PC. Step 2 : Press Windows Key. Step 3 : Right Click On Your Account And Select Change Account Settings. 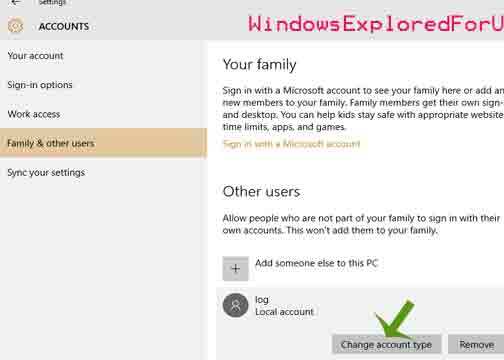 Family & Other Users Which Will Be as Fourth option in left pane. Step 4 : It Will Open list of Accounts Opened in Your PC,on the Right Pane. Step 5 : Select the Account You Need to Change. Step 6 : Click On Account type. 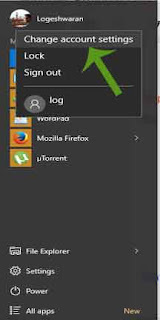 Standard User as Default,Scroll up and Select Administrator. Step 8 : Click on OK to Save Changes. That's All you Have Successfully Changed your Account Type. Logesh August 20, 2015 Let me Share my thoughts!